ISRAEL’S PARLIAMENT HAS adopted a law defining the country as the nation state of the Jewish people, provoking fears it could lead to blatant discrimination against Arab citizens. 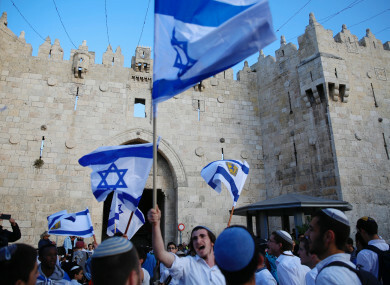 The law, passed in the early hours of this morning, speaks of Israel as the historic homeland of the Jews and says they have a “unique” right to self-determination there, according to copies of the final text quoted by Israeli media. “It is our state, the Jewish state, but in recent years some have tried to question that as well as the principles of our existence and our rights,” Israeli Prime Minister Benjamin Netanyahu said after the vote on the legislation, backed by his right-wing government. Arab citizens account for some 17.5% of Israel’s more than eight million population. They have long complained of discrimination. The sponsor of the law, Avi Dichter from Netanyahu’s Likud party, has said it aims to defend Israel’s “status as a Jewish and democratic state”. Do we want to support the discrimination and exclusion of men and women based on their ethnic origin? Email “Israel passes controversial law defining itself as a state of the Jewish people”. Feedback on “Israel passes controversial law defining itself as a state of the Jewish people”.